This summer the key state-run China Central Television was subjected to a sweeping corruption investigation. Now the Party-mouthpiece People’s Daily has become a target for inspection. This pair of investigations seems to target Politburo Standing Committee member Liu Yunshan, who is in charge of media and propaganda in China. China’s anti-corruption department, the Central Commission for Discipline and Inspection (CCDI), stated on Oct. 5 that a “special inspection” is under preparation for six units of People’s Daily, including three local branch offices and three affiliated newspapers and businesses. A meeting was recently hosted to explain the coming inspection, the statement says. At the meeting, a message from CCDI secretary Wang Qishan was delivered to show the concern central authorities have for this investigation. The content of the inspection includes “implementation of the Party’s policy and principles,” “clean governing,” “paid news and news extortion,” “recruitment,” “personal conditions of the leadership,” and so on. A significant leadership change took place at People’s Daily before this inspection. Four high executives of the People’s Daily were replaced in five days earlier this year in April, including the newspaper’s president, vice president, chief editor, and vice chief editor. In the investigation of Chinese Central Television (CCTV) this summer, about 20 staff were taken away by the CCDI for investigations, including finance channel director Guo Zhenxi and famous TV host Rui Chenggang. Over 100 were summoned to assist in the investigation. 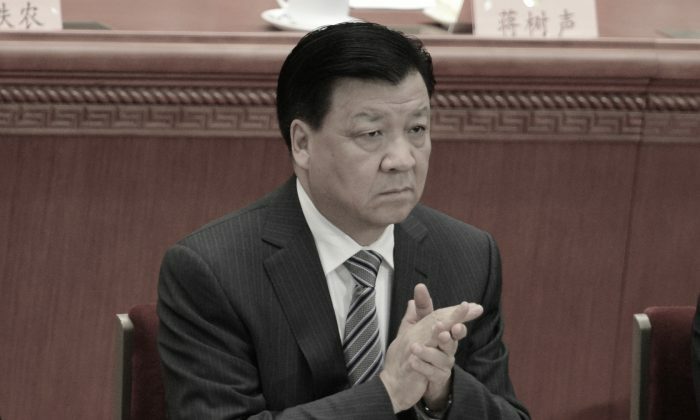 Propaganda chief Liu Yunshan has recently been connected to several corruption scandals. Hong Kong’s Chengming Magazine says in its October edition that Liu and his family took part in extensive corruption involving minerals in Shanxi, his home province, and Inner Mongolia, where he was an official for two decades. Liu has also been named in a bribery case involving a Taiwanese TV drama that was bought by the CCTV at an extremely high price, according to the Storm Media Group in Taiwan on Oct. 3. The report says two Taiwanese film and TV producers bribed Liu’s son, the then-head of the Propaganda Department, and Jia Qinglin, the then-chairman of Chinese People’s Political Consultative Conference, for selling 800 episodes of the TV drama titled “The Unforgettable Memory” to CCTV. The two Taiwanese bought the drama at a price of US$3000 per episode from Formosa Television (FTV) in Taiwan, and sold them at US$6000 per episode to the CCTV. However, according to CCTV’s records, the drama was bought at US$18,000 per episode, the report says, quoting an anonymous source at the company. It’s unclear where the difference of nearly US$10 million has gone to. The report says Liu and Jia have been targeted for the investigation, although Chinese authorities haven’t confirmed that. Liu served as the director of the Propaganda Department of the Communist Party of China Central Committee for over 10 years from 2002 to 2012 and continues to be in charge of the media propaganda due to his new position as chairman of the CCP Central Guidance Commission for Building Spiritual Civilization. Liu is a close ally of former CCP leader Jiang Zemin who served his term from 1993 to 2003 and maintained his influence in the government for another 10 years before current leader Xi Jinping stepped on the stage. Xi’s anti-corruption campaign has clipped the wings of Jiang’s faction by sacking a large number of officials who have ties with him and his interest group, including the former head of the Ministry of Public Security Zhou Yongkang, and former vice chairman of the Central Military Commission Xu Caihou.